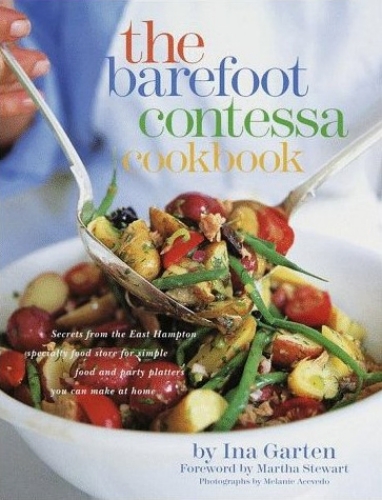 The Barefoot Contessa Cookbook: At Barefoot Contessa we've made hundreds of thousands of banana crunch muffins over the year, so I know the recipe works. Grilled salmon salad, sugar snap peas with black sesame seeds, and fresh corn salad with basil – these are the dishes that made the store so popular over the years, and you can make them at home exactly as we made them at the store. Party dishes like roasted salmon with fennel, spinach pie, and pecan shortbread can wow your own guests.